John Green received a grant for 500 acres on the north side of the Black River (3, p. 447). 1750  John Green died and willed the property and "all the Buildings and Improvements thereon" to his son Richard (3, p. 447). 1754  There had been some issues with John Green's will. In order that Richard would have a 'clean' deed to the property, his brother William conveyed the property to Richard in July (3, p. 447). 1764  Richard Green and his wife Margery conveyed the 500 acre tract to William Jamieson. Jamieson received a grant for 35 acres of marsh that adjoined the 500 acre piece. Jamieson would purchase an additional 120 acres of adjoining property from James Crokatt's Ingleside Plantation (3, p. 447). 1766  Jamieson died dividing his holdings between his wife Mary Cantey Jamieson and his sister Agnes Stitt. Agnes received the Black River plantation (3, p. 448). 1768  Agnes conveyed the plantation to her son William Stitt (3, p. 448). Circa 1794  Stitt had died sometime prior to this as his niece Agnes and her second husband Robert Kirkpatrick sold 882 acres to James O'Hear (3, p. 448). 1797  John Keith owned the plantation (3, p. 448). 1824  John Keith arranged to sell Keithfield to Richard O. Anderson on January 1. Keith died shortly before the transaction. 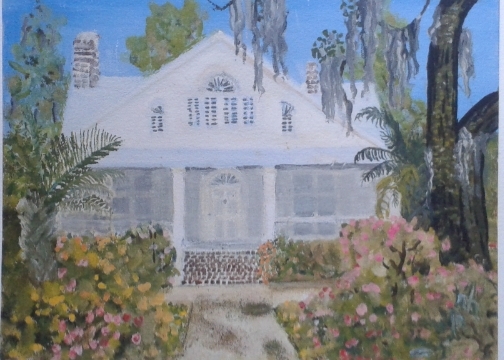 Anderson also owned neighboring Ramsay Grove Plantation (3, p. 448). 1852  Anderson died (3, p. 449). 1853  James Heyward Trapier purchased the plantation from Anderson's estate (3, p. 449). 1865  Trapier passed away in December. Keithfield continued to cultivate rice while being held in his estate using freedmen labor (1, p. 3). 1866  One of the most intense freedmen uprisings in Georgetown County occurred at Keithfield. The freedmen left their work in the rice fields, chasing the manager off the plantation (1, p. 3). 1869  Unable to farm Keithfield, the plantation was foreclosed on. Jane Lynch Pringle along with her sons John Julius Pringle and Dominick Lynch Pringle purchased Keithfield for $33,000 (3, p. 450). 1870-1873  James R. Pringle & Son owned Keithfield (5). 1873  James R. Pringle & Son transferred ownership of the plantation to Adger & Son (5). 1885  John P. Hazzard acquired Keithfield and continued to grow rice at the plantation (1, p. 3). 1906  Several severe storms forced Hazzard to end his commercial rice production at Keithfield. Hazzard then rented portions of the fields to black farmers who grew rice and sold their crop to local merchants until the 1920s. Descendants of these families resided on Keithfield in the 1960s (1, p. 3 and 4). 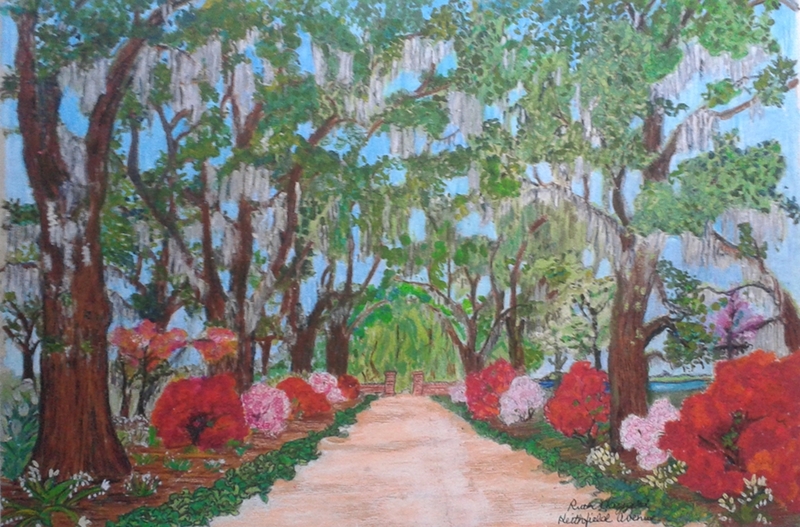 1915  Julia Kaminski acquired the plantation from the Hazzard estate. She painstakingly restored the expansive gardens and cottage. The cottage faced the river and the interior walls were 4' x 8' cypress panels salvaged from the plantation's slave cabins. The original brick house had been lost to fire sometime prior to this (3, p. 450 and 6). 1936  Julia Kaminski passed away leaving the plantation to her son Harold Kaminski (3, p. 450 and 6). 1947  Dr. Hal B. Holmes purchased 300 acres including the house from Kaminski (3, p. 450 and 6). 1956  Westray Battle Hazzard purchased Keithfield Plantation from Holmes. At time of purchase, the cottage did not have electricity or plumbing. Westray's brother, Jack Hazzard, owned Wedgefield Plantation located across the Black River from Keithfield. Hazzard remodeled the old kitchen building for use as a guest cottage (3, p. 450 and 6). 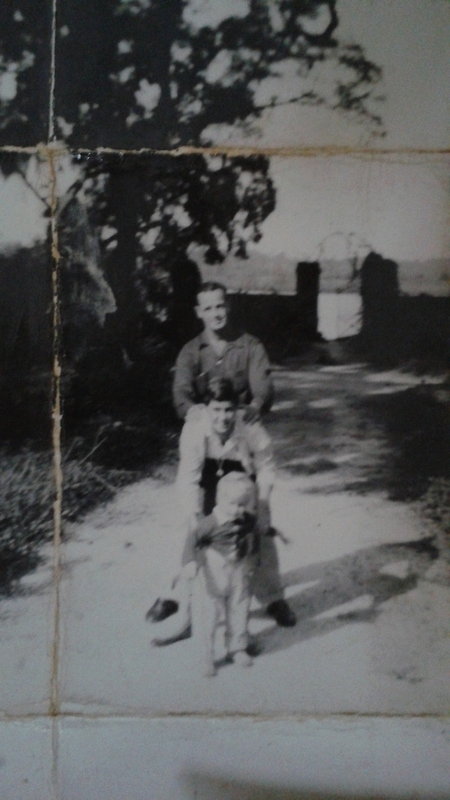 Ruth Hazzard shares, "After purchasing Keithfield my father [Westray Battle Hazzard] had my brother, Harvey, help Abe Pyatt, caretaker, load the bricks from the old house on a flatbed truck to be taken to Georgetown for sale. The load was too heavy for the old bridge, it fell through into the canal close to the river. A barge had to come from town to pull it out of the water. Some of the bricks were never recovered, but the bridge still stands, strong and secure." 1957  The cottage was destroyed by fire (and 6). 1959 or 1960  Westray Battle Hazzard sold the plantation to L.H. Hutton. A stipulation of the sale was that Abraham Pyatt would continue to reside at Keithfield until his death. Abraham had lived on the plantation since the early 1900s and passed away in 1967 (3, p. 450 and 6). 2001  The Hutto family still owned the plantation (3, p. 450 and 6). 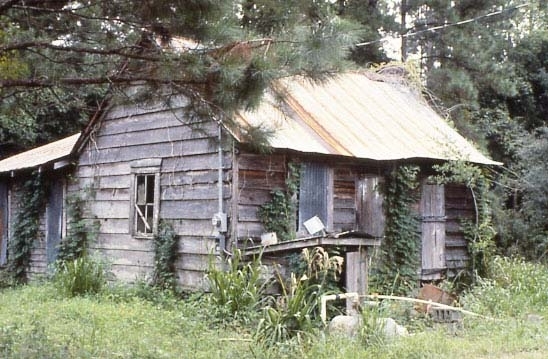 A circa 1830 slave cabin was on the property in 1987 (1, p. 3).